One thing that has drawn me into try their cream liner is their packaging. 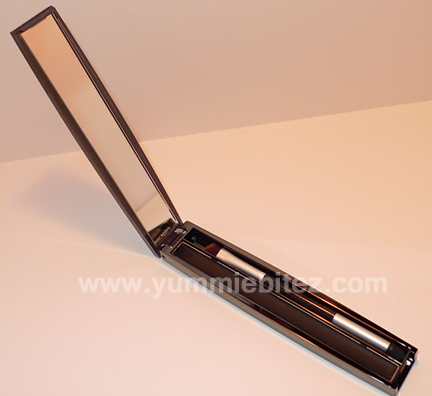 It's sleek and it fits nicely in your makeup bag or clutch. 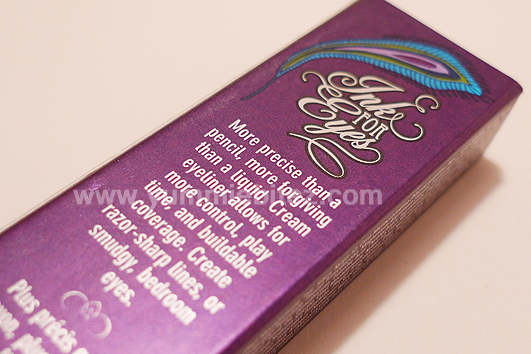 It's also not only it's aesthetically pleasing, but it's the only gel/cream eyeliner that I've seen that conveniently packages a brush inside too. And it comes with a mirror too. This can come in really handy especially during trips or just something to stow in your makeup bag for touch ups (or if you're running late in the morning, and you need to do your makeup when you get to work instead) without needing an extra angled brush to pack (and worry about that same brush being dirty or marking up everything else in your bag). I liked the convenience it gives because I'm one of those people who are always in a rush in the morning. 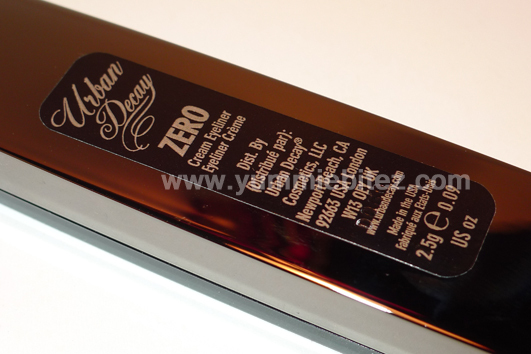 The back part of the casing, however, has a glossy finish which can attract finger-prints galore. So it'll need some occassional wiping if you want it fingerprint proof. The drawback of the packaging is since more elongated and it opens vertically rather than horizontally, the cover is more likely to break if not handled correctly. I don't like how every time I open it that it feels like it's going to snap. I have to be extra careful when opening it. And forget about dropping this because the case is more likely to shatter or at least break where the hinges are. 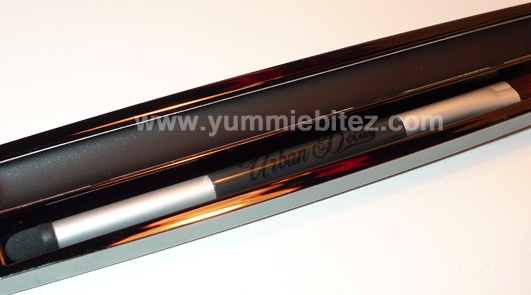 As far as the product inside, the dual-end brush has a pretty good quality with it's soft and synthetic bristles. So you're not getting a brush that it's cheaply made. 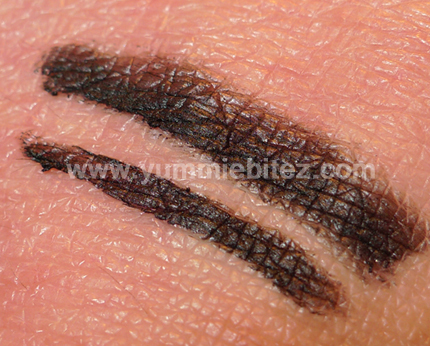 But, the cream liner itself is horrendous for people with oily lids. The first time I've tried it, I didn't apply any base or primer on my lids. I never had to apply one anyway with my MAC fluidline, so I figured it will be ok. 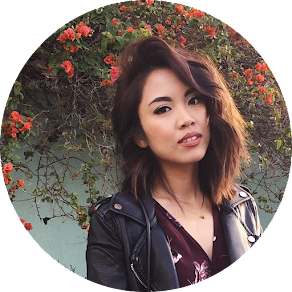 But to my dismay, literally within minutes of applying it, during a cold winter in December here in California while staying indoors, my eyeliner crept up all the way to my crease. It wasn't a pretty sight. At that point, I was really bummed. I haven't even stepped out of my door yet and my makeup is already a mess. Using a primer helps, but I still noticed some creasing. Even with primer and power eyeshadow I still noticed hints of creasing on my lids. 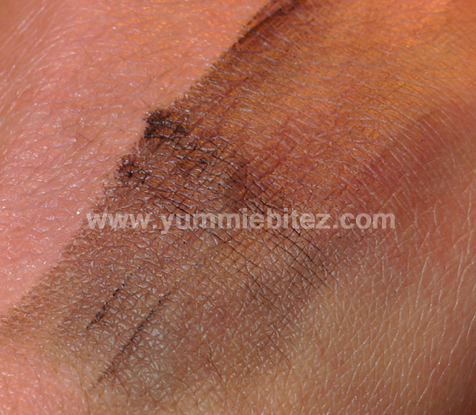 As shown in the image below, even the swatch can be rubbed off without water. I even let the cream dry a little bit before trying to rub it off on my dry hands (I just washed my hands and didn't moisturize yet) and it just rubbed right off. And forget about it staying in water as the eyeliner is not waterproof either. This cream liner has no fighting chance against your tears. I mean for the price your paying, the eyeliner better stay on your lids. Too bad it didn't though. I'm a big Urban Decay fan, but this falls quite short in my book. This eyeliner was definitely no hero and more like a zero. I'm a tad bit sad that this relationship didn't quite work out. FTC: The product featured on this post was purchased on my own. This post contains affiliate links which helps support this blog. These are my honest thoughts and I'm not being sponsored to write this review. Yay for your 300th post!! :) I hope you find another gel liner soon! I did not drop mine and always opened it carefully and the hinges still snapped within a month of buying it. I don't know about you but I cannot stand broken cosmetic cases. I went back to Debenhams where I bought it and they kept saying that I didn't open it carefully enough. I was treated like I was an imbecile. They said that they could not help me as I didn't have a receipt. Urban Decay Customer Service, and they said there is no customer service outside of the States. 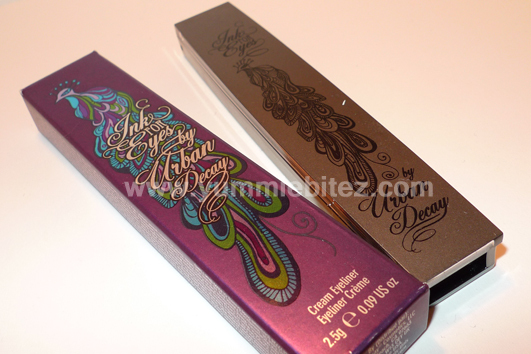 What can I say, I mistakenly thought Urban Decay was a high quality brand. Instead there is poor or no customer service and shoddy packaging. I will stick to Dior in future.